#036 The Bible Doctrine of The Trinity | That's In The Bible? « #035 Is “The Gap” A Theory? 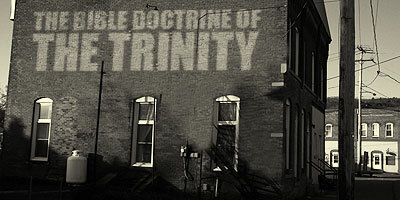 Is the doctrine of the Trinity found in the Bible? What does it mean? Follow along with us as we see directly from the Bible what the scriptures have to say about the doctrine of the Trinity. This entry was posted on June 27, 2010 at 9:03 pm and is filed under That's In The Bible - Podcast. You can follow any responses to this entry through the RSS 2.0 feed. You can leave a response, or trackback from your own site.